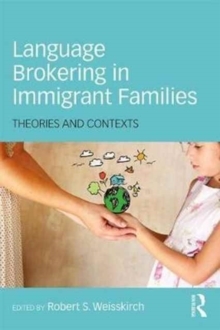 Language Brokering in Immigrant Families: Theories and Contexts brings together an international group of researchers to share their findings on language brokering-when immigrant children translate for their parents and other adults. Given the large amount of immigration occurring worldwide, it is important to understand how language brokering may support children's and families' acculturation to new countries. The chapter authors include overviews of the existing literature, insights from multiple disciplines, the potential benefits and drawbacks to language brokering, and the contexts that may influence children, adolescents, and emerging adults who language broker. With the latest findings, the authors theorize on how language brokering may function and the outcomes for those who do so.